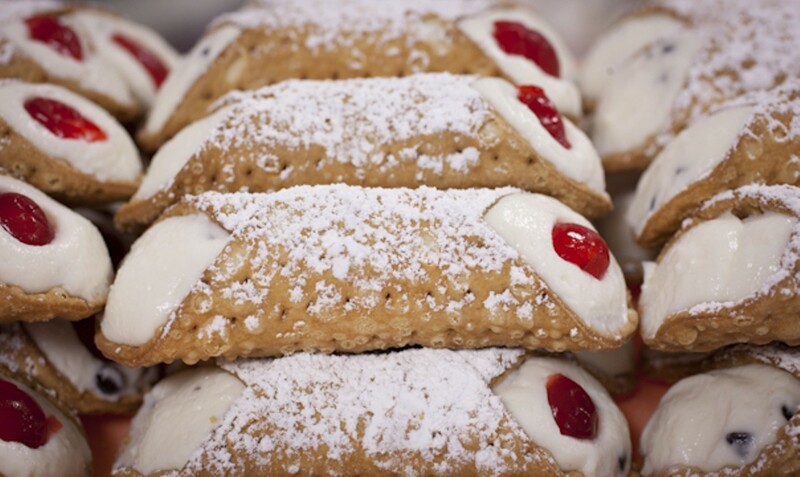 At the corner of Marconi and Bischoff avenues, on the Hill of course, passersby and destination-seekers will find the green-, red- and white-decorated Vitale's Bakery. Bread, rolls, cookies, pastries, cakes, biscotti and, perhaps most notably, cannoli are all made right on site, along with a variety of other Italian baked goods. This traditional Italian, neighborhood bakery takes pride in its fresh breads, including large Italian loaves, muffalatta rolls and marble rye. 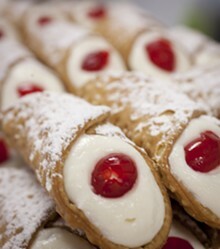 With cases of cookies and cheesecakes stolens, and spiced and powdered cookies. 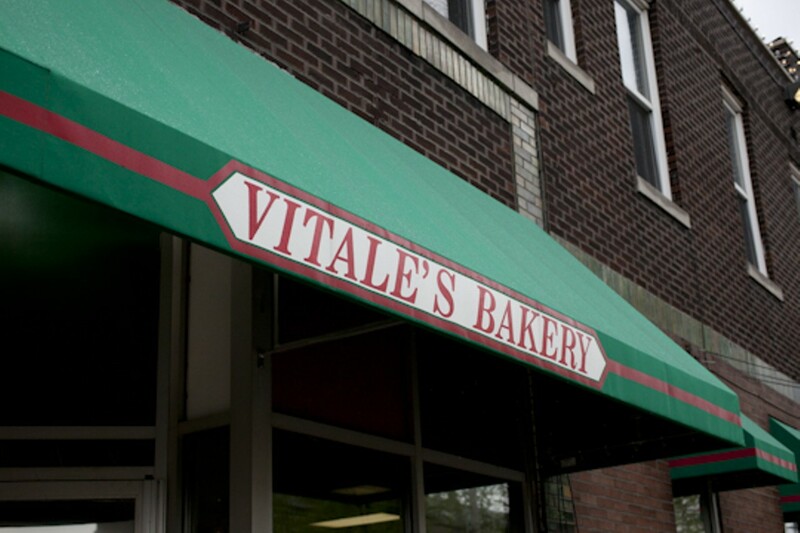 Like many of its Hill neighbors, Vitale's is open Monday through Friday and only accepts cash or checks.